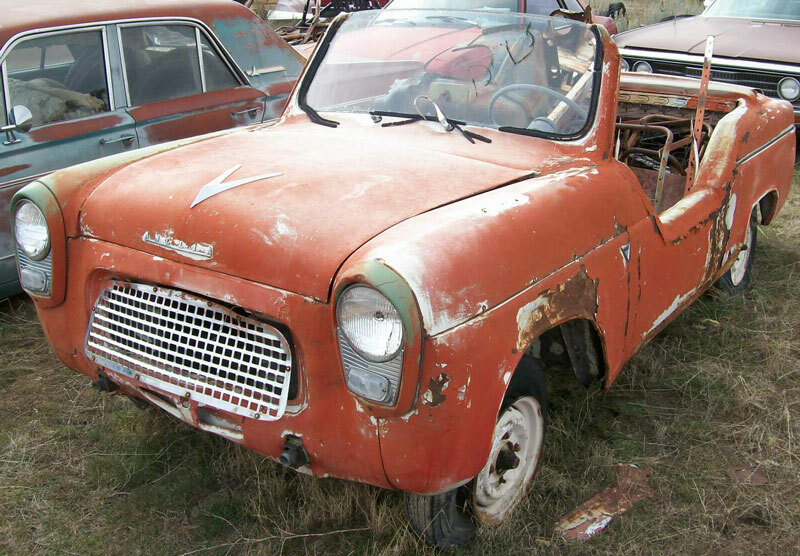 This orange 1958 Ford Anglia Model 101E two door sedan is a custom modified convertible roadster body and chassis ready to be restored, completed and/or customized. The builder cut the top off and welded the lower doors to the body. Then the tops of the doors, rear quarter tops and rear window panel were filled in with fiberglass. The work is rough but looks like it could be finished out OK. The windshield is good and there is no top frame that was part of the roof. The grill is loose and dented. The front and rear bumpers are missing. The front of the right front fender is damaged. There is some filler work started on both sides of the hood, apparently to contour the areas into a raised hood. The work is poorly done and is coming apart. There are small dents here and there is the body. 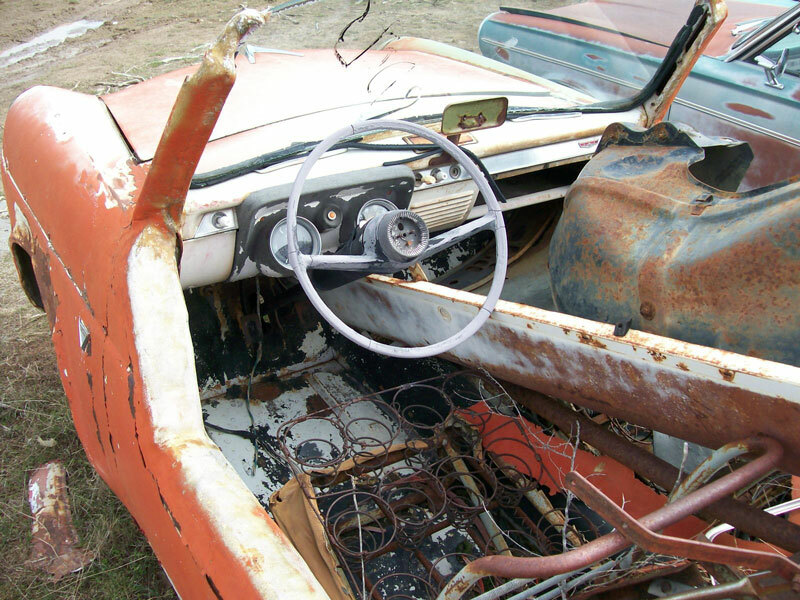 The poor orange paint job is peeling, primarily on the left side and there is surface rust where the paint has peeled. The top fender and side trim is mostly missing. The front seat cores are there. A non-stock gauge panel and steering wheel have been installed and these are of unknown year, make and model. The steering column is not hooked up. The rest of the dash is there except some of the knobs and glove box door are missing. The floors are solid. The parts inside the car are unrelated and do not come with the car. The original 1722 CC OHV inline four cylinder 36 BHP motor, three speed manual floor shift transmission radiator and under hood components are gone. 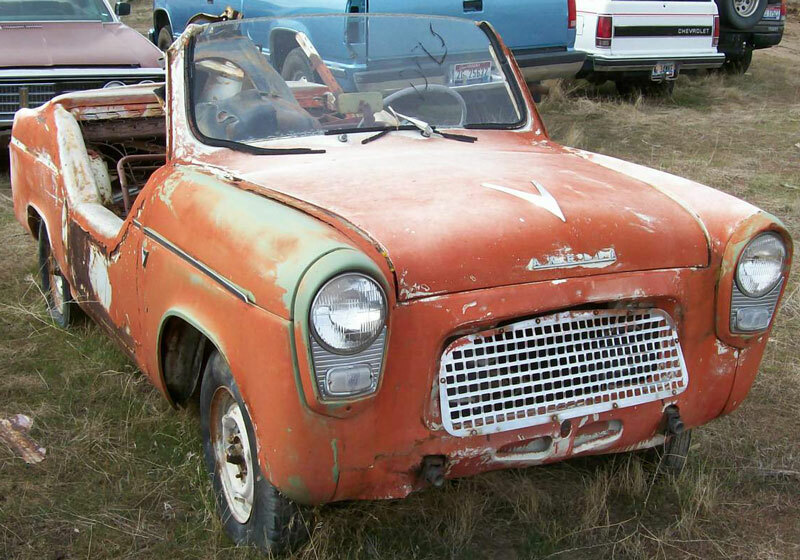 Here is your chance to own a one-of-a-kind, funky and poorly-done 58 Anglia custom roadster. 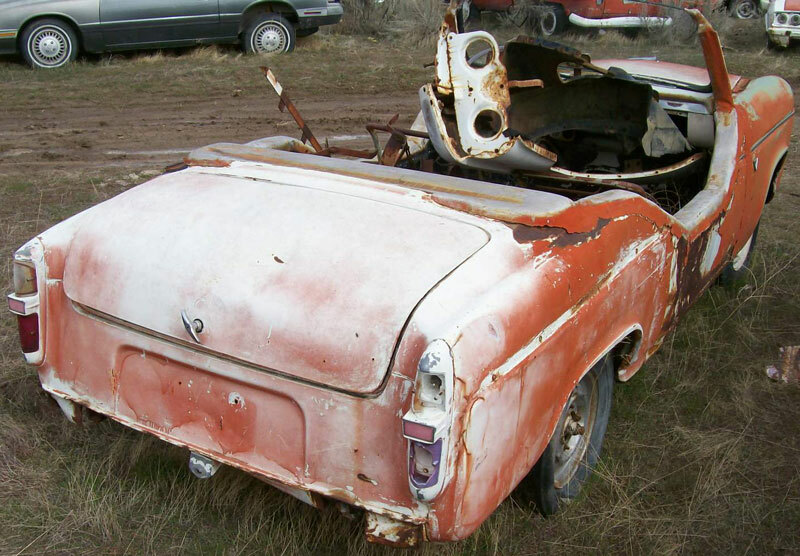 Please call (406) 318-0270 for details about this restorable classic 1958 Ford Anglia project car.